ENPS students have been going potty for the past few weeks creating spectacular gifts to celebrate family and fathers. They have enjoyed working outside, getting their hands dirty and designing their succulent arrangements. Each pot is unique just like each family within our community. Today, students will be taking their pots home in time for Father's Day. A big thank you to Webster Farm and Garden for donating the soil. 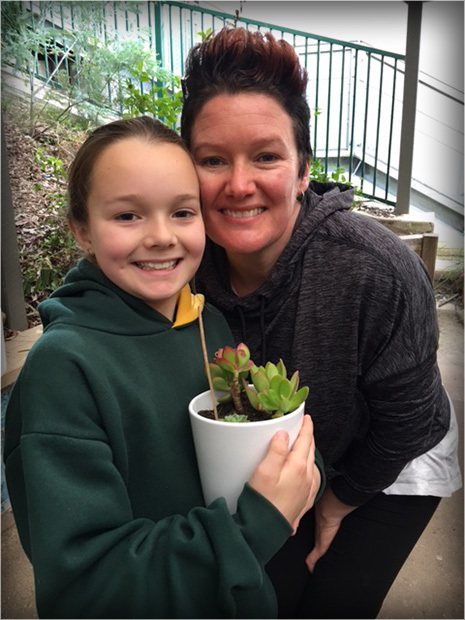 Thank you to Mitre 10 Diamond Creek for the pots and a big shout out to our fabulous community gardeners who donated the succulents & assisted students. This has been lots of fun for everyone and a successful fundraiser. Happy Father's Day to our dads and well done to our students who consistently achieve great things.